He’s 1,72m high, full of a special kind of horsepower and can rival Usain Bolt with his own celebration after finishing a round… Dutch Olympic rider Maikel van der Vleuten’s Verdi is undoubtably one of the most consistent stallions on the Longines Global Champions Tour and GCL circuit, with the 16 year old horse a prominent figure in the sport he’s competed in for over 12 years. 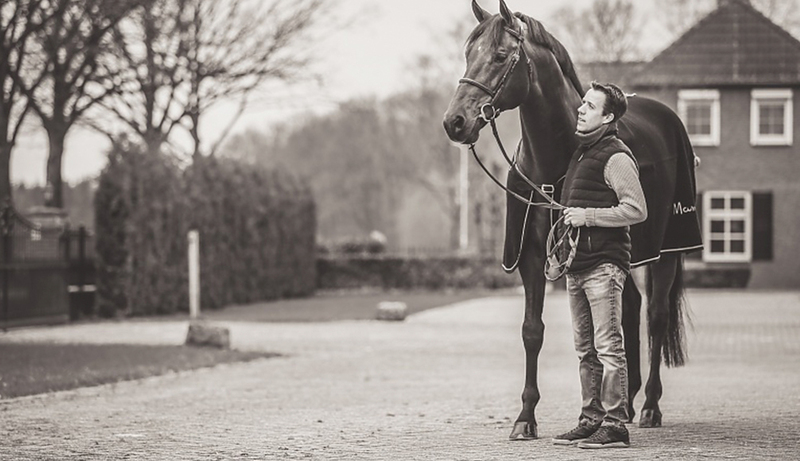 We caught up with the show jumping superstar at his home in The Netherlands, where Maikel gives us an exclusive insight into the secret life of the very vibrant Verdi. Verdi likes to take the mornings slow… "He starts off with a gentle stretch. 30 mins on the walker [almost like a treadmill for horses] first thing is enough to wake his body up." But he gets his heart rate going at least once a day… “Depending on his competition schedule it might be we ride out into the forest, or work on some fitness training on the canter tracks or a gentle lunging session." If the weather is good Verdi gets turned out in the field at the end of the day like every normal horse... "If the weather isn’t good, the grooms hand walk him around the yard for a nibble on grass." Maikel believes careful management is key to Verdi’s success. “I know what I need to work on with him. We have a plan and a routine that has developed over the years. We know each other inside out." Verdi is a yoga kind of guy… “I never do big jumping at home - he knows what to do already! Instead I focus on gymnastics with him to keep his body loose. It’s important that his body stays athletic - he’s very supple naturally and it’s important to keep it in top condition."